Everyone is waiting with bated breadth for Agent 47’s next epic outing in Hitman 2, which releases on November 13. We already got a taste of what’s to come with the Miami level, and now the tease continues with the beautiful landscape of the Colombian Jungle. 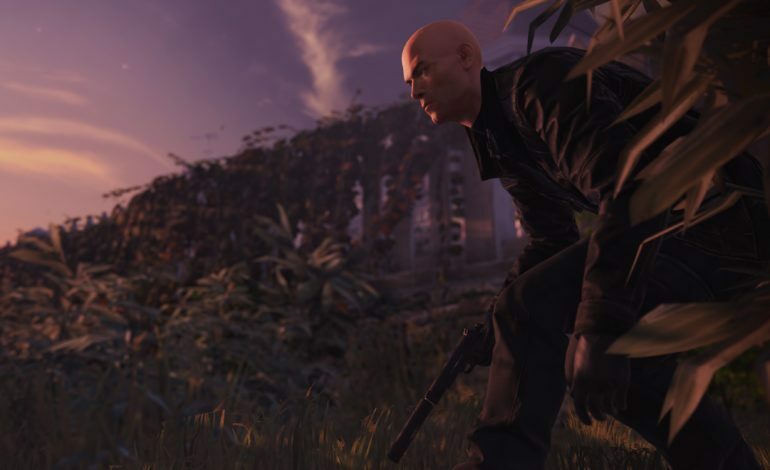 IO Interactive and Warner Bros. have just released a brand new trailer showcasing 47 traversing through a village, Santa Fortuna, in the heart of a drug cartel operation. Three high-profile targets inhabit a luxurious and dangerous environment deep inside the Colombian jungle. The village appears to be secluded in the Colombian Jungle, and while it initially seems peaceful, it’s also harboring a serious drug cartel. With Diana’s narrative in the background, the trailer showcases the breathtaking landscape of the rain forest, as well as some of the items that 47 uses against enemies, including throwing a hammer at a guy’s face. In addition, 47 can now use foliage to hide from enemies, a welcome addition to the stealth repertoire the series is known for. The Columbia level stretches across the cartel’s mansion, the surrounding area, the coca fields, and some tunnels that connect to other areas. In the level there are three targets that 47 must eliminate, by whatever means the player deems necessary. Columbia is one of six new areas making their debut in Hitman 2, however it was reported back in August that the game will also include all of the previous missions from the last entry in the series, Hitman. The updated missions will be sold as the “Legacy Pack DLC” but if you own Hitman Season 1, then you’ll receive the update for free. With the inclusion of those maps, that means there will be 12 maps that will be potentially available to play. On top of that, there is also the multiplayer mode, Sniper Assassination Mode, which is available to play right now if you pre order the game. The hype train is in full swing for the holiday season, and IO Interactive isn’t wasting any time making sure that Hitman 2 is at the forefront. Hitman 2 launches on November 13 for the PlayStation 4, Xbox One, and PC.